As the co founder and engine room for the BIM Institute, and engine room behind the organization, it has always been Harris’ vision to drive technological transformation in the industry, and support best practice in line with international BIM framework standards. He is outspoken and unbiased in his opinions on all things BIM, from software to policy decisions, which makes him a popular speaker at conferences and in training sessions, both locally and internationally. 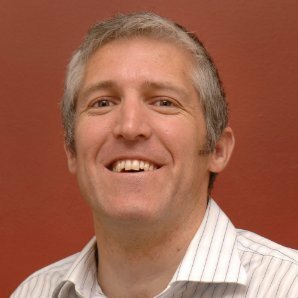 Vaughan, aka ‘The Baron of BIM’ has a wealth of history working in the think tanks and leadership development arena within the construction industry. His strong business development skills, succession planning and training development has successfully positioned himself on the advisory board for the BIM for Owners & Developers Global Executive Program. Vaughan has been involved in various sectors of the construction industry locally and internationally since graduating as a Quantity Surveyor in 1994. His 14 years of quantity surveying with one of South Africa’s largest construction companies, Grinaker-lta gave him the opportunity to work with various professional teams on projects. In 2000, he started specialising in information management systems to better coordinate the construction processes on projects and as a result worked in Australia on various transport and defence projects. His seven years with one of Africa’s largest construction software development companies, gave him the opportunity in working with various software applications and systems used within the construction industry. 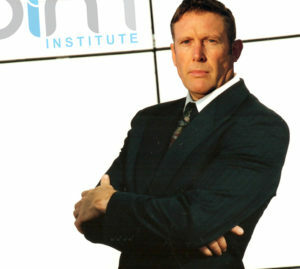 Vaughan has recently been nominated as one of the top 500 BIM influence’s around the world. With a background in architecture Lourens offers a wide range of unique BIM consultancy and support services, which include deploying BIM processes for companies who are evolving from traditional 2D processes to a far better and more sophisticated way of producing, managing and exchanging project information, in line with international BIM trends and standards. Applying the right technologies to the industry allows cost and time saving on design, construction and maintenance cost, resulting in better projects. He has recently joined the ranks of the BIM Institute where he puts shoulder to the wheel to influence a culture change of the South African an African construction industry. Lourens had gained 13 valuable years in Ireland where he obtained BIM Level 2 experience. 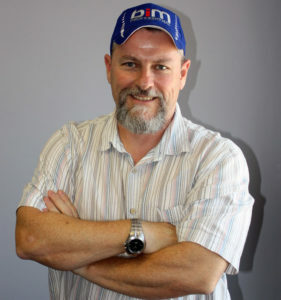 He is applying his experience and experience to the South African industry where BIM is fast gaining traction. Chris has been involved in various sectors of the construction industry since graduating with a Bachelor of Building Arts degree in 1994. Whilst working for a design and build company in the UK he became interested in using 3D models to better coordinate the construction process. As a result of this he became involved in the formation of Advanced 3D Technologies in 1999 leading to the development of virtual construction planning and coordination for the Construction Industry. Virtual construction planning involves the use of building information models (BIM) to create the construction programme producing a time linked visual of the construction process. Chris has since been involved in over 100 projects ranging from small office developments to the tallest skyscraper in Western Europe, as well as a number of stadiums and power stations, advising on project implementation, schedule analysis, creating bid models and carrying out pre-construction planning as well as being embedded in Construction and Project Management teams delivering these projects. Chris lectures in the Department of Construction Management at the Nelson Mandela Metropolitan University, transferring knowledge learnt on the numerous projects he has been involved with to a new generation of construction managers, architects and quantity surveyors. In addition to the under-graduate building science course known as Environment & Services, he also presents a module in the Masters course on project strategy and methodology for project managers. He is also currently chairman of the Chartered Institute of Building (CIOB) Eastern Cape and acts on an advisory panel formed between the CIOB and South African Council for the Project and Construction Management Professions to look at the future of construction management within the built environment disciplines.